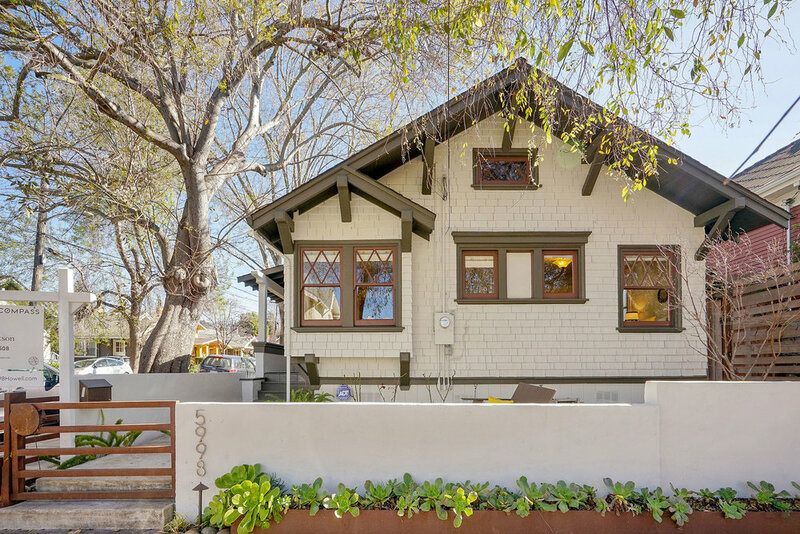 Poised on a tranquil, tree-lined street just 3 blocks from all the amenities and transportation on College Avenue, this elegant shingled bungalow pairs the craftsman of yesteryear with new updates attuned to today’s lifestyles. Sold!—one of the original live/work buildings. This wide-open, top-floor, live/work space is rare in the iconic Besler building. Soaring ceilings and expanses of windows flood the unit with lots of natural light. Part vintage charm, part modern comfort, this elegant Colonial Revival cottage is fresh from a luminous makeover. The result: An unforgettable fusion of old and new. This special property may be the only of its kind in Oakmore. Two sold listings in the East Bay epicenter for tech and bio-tech, near Pixar, Peet’s Coffee HQ, Stanford Health, and other major employers. Both properties, only one bus stop away from the Transbay Terminal in SF. The Enchanting Blue Bungalow! This Craftsman cottage is packed with natural light, vintage details, modern conveniences, spacious yard edible garden, and bonus spaces that virtually double the functionality of the home. Step right up to the charming front porch and entryway; it’s easy to settle in to the wide living room, entertain in the sunny dining room and updated kitchen, and dine al fresco on the kitchen deck overlooking the garden where your dinner was harvested. Discover a whole extra world down the kitchen stairs -- finished bonus spaces include a family room, study, possible au pair or in-law rooms, an extra (un-permitted) bath, laundry, storage/workshop, and a separate entry. Centrally located and just moments to a myriad of amenities -- Pixar, Doyle Street Café, Noodle Theory, Arizmendi, Wolfhound, Honor Bar, Emeryville pool and fitness center, Emeryville Marina, yoga and pilates studios, express bus to SF, Amtrak, Emery-Go-Round, Trader Joes, Bay Street Plaza and more, you can give up your car(s) and experience robust, urbane living on the Emeryville/Oakland border. The storied Besler building in Emeryville is one of the first warehouse conversions in the Bay Area. It was converted to units in the 1970s from a historic building in which steam engines and airplanes were designed and fabricated. Exposed brick, solid concrete floors, giant concrete pillars, dramatic floor-to-ceiling casement windows -- this is the real deal, a true loft experience in a true live-work building. With artists and craftspeople as your neighbors, you’ll find surprising peace and quiet in which to work, create, or just live. There are no shared studs in the walls and ceilings, so you won’t hear a thing between units. The main space is soaring and open with 20-foot high ceilings. A bedroom, loft work room and storage area are tucked away. The light is spectacular from the south-facing windows, creating warmth all winter long without turning on the heat. Each unit is unique, showcasing owners’ individual build-outs and upgrades over the years. The extraordinary kitchen in Unit 204 has concrete countertops, maple cabinets, and top-shelf appliances – a commercial Wolf range, Miele dishwasher, Bosch oven, and Subzero refrigerator are ready for a home chef, a caterer, or even an expert at take-out. Great-looking and functional, the space and quality stand ready to be put to any test you can throw at it. The giant freight elevator, off-street parking, main entry security system, and continuous camera surveillance complete this enticing package, all in a convenient central location near Bart, SF bus line, Emery-Go-Round, Pixar, Bay Street and more. 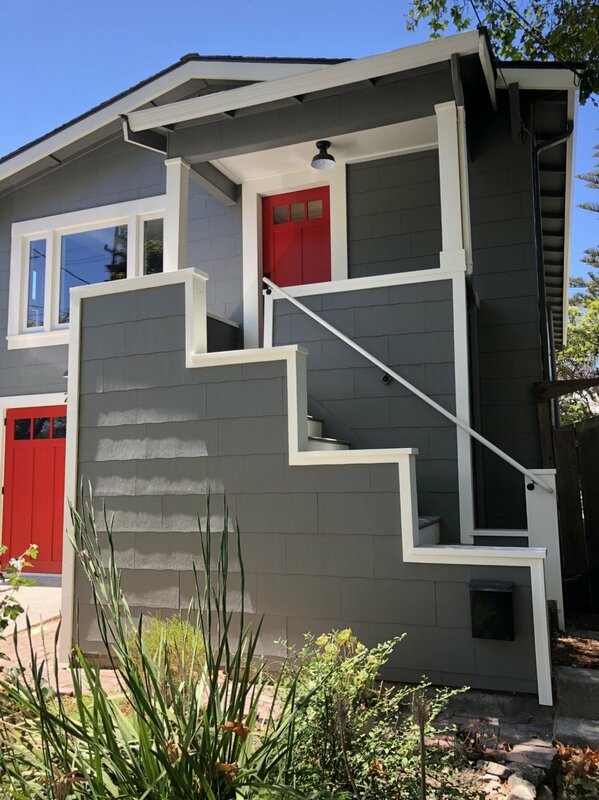 An irresistible family-friendly home welcomes you after your morning at the Farmer’s Market or jog around Lake Merritt. Perfectly located in the popular and bustling Grand Lake neighborhood, you are just moments away from a vast array of cafes and restaurants, shops and yoga studios, wine bars and bakeries, lake recreation and the Rose Garden. This is one-stop shopping in a center-stage location, making it one of the most desirable neighborhoods in Oakland. The beautifully maintained home features 3 bedrooms and 2 luxurious full baths, including a master suite nestled on the top floor with cityscape views. An open dining and kitchen concept, combined with excellent indoor-outdoor rapport and huge rear deck, evoke a perfectly appointed vacation house. Bonus spaces offer a variety of uses, including a den, home office, or nursery adjacent to the master bedroom, and bonus space at the entry level with its own entry and bath. Featured in the 2017 East Bay AIA Home Tour, this breathtaking, one-of-a-kind home is a soaring, modern, sunny retreat in the heart of Westbrae. A notable local architect designed the progressive, green-energy dream house with walls of glass, earthy materials, elegant finishes, drought-friendly landscaping, and solar power. Venetian plaster, concrete, bamboo, blackened steel, and reclaimed wood give the home an industrial-chic vibe, while maintaining the architect’s sustainability imperative. A transparent cat-walk is a highlight of every guest’s first visit. Views of Mt. Tamalpais, Golden Gate Bridge, and Berkeley hills are framed from several windows, and the rooftop deck offers 360-degree views of the East Bay and beyond. Exploring the thriving North Berkeley neighborhood of Westbrae is a treat. Here you’ll find shopping and amenities, relaxation and recreation, and transportation options that include BART, Amtrak, ferry to San Francisco, direct bus to SF just 1 block away, and excellent freeway access. The Westbrae Biergarten and Westbrae Nursery are popular neighborhood staples, as are many shops, restaurants, grocers, the famous Acme Bakery, Barteville Cafe, and wine importer Kermit Lynch. Simply add your email below to receive open house news and updates. Or, ask me anything by email. I’m very quick to respond. Please select the property you’re asking about, it helps me help you quickly. Thank you!